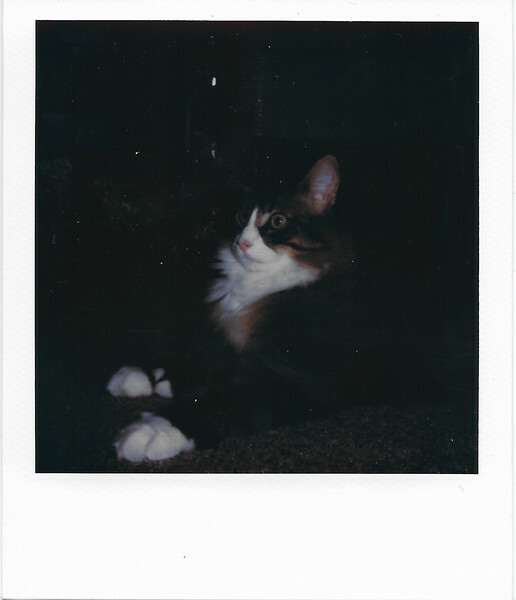 May 14, 2018 - Polaroid Originals SX-70 color film, old flash bar. Testing effects of exposure compensation on closer range flash photos. Came out darker than anticipated. (Adjusted about 2/3 stop dark side).